PHOTO COURTESY LINDSEY WONG DOUBLE TROUBLE: Eitan and Elizabeth Rozin, left, are joined by coach Lindsey Wong and their OFSAA finalist teammates, Giron Findlay and Kate Currie. He stood in the halls of the empty Chatsworth school beaming, knowing another school year was over and that Panthers athletes reaped the rewards of a competitive year. Though his tennis team only qualified 10 players this year, the result was the same as 2017: four medals. They were also seeded no lower than fourth in the five draws. “My goal is to always make it to the Wednesday. That’s the day you’re playing for medals,” he said. “I told the kids, do your best, we’ll make it to Wednesday. Ten out of 10 kids made it to Wednesday. Of those 10 kids, the winners included Meg Killeen and Harrison Wood, who partnered in High School Mixed Doubles to earn bronze. It was Killeen’s further consecutive OFSAA medal. 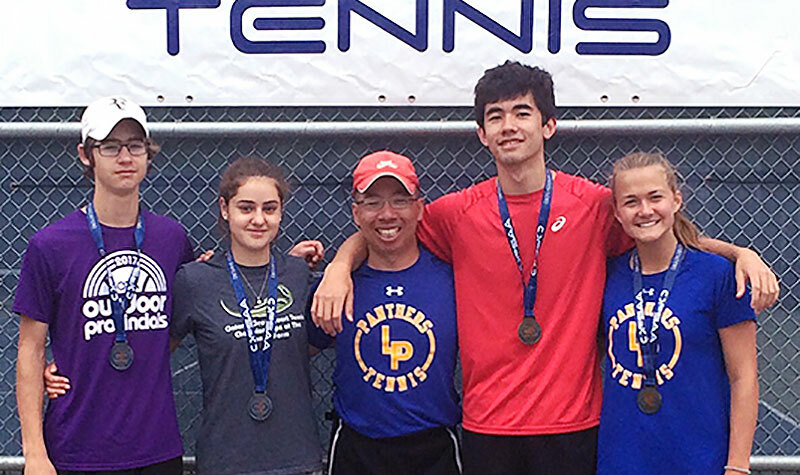 Aly Lowry and Sophia Lindy earned a second OFSAA silver in High School Girls Doubles and the pièce de résistance was the Open Mixed Doubles result of gold and silver from Giran Findlay and Kate Currie, as well as a Eitan and Elizabeth Rozin. Currie said she was ecstatic with the result as she was the only Grade 10 among three seniors. “I played with a guy named Giron. I had just met him this year. 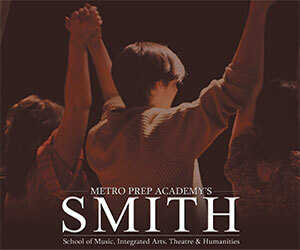 He played really good and I had a more focused mindset with someone that I really didn’t know,” she said. It was not Currie’s first OFSAA appearance. In 2017 she played with her twin sister, Abby, but did not fair as well, finishing fifth. “I came in more focused. My sister and I usual fight and bicker,” she admitted. With the departure of Giron, that means Currie will reunite with her sister, should the duo qualify for OFSAA next year. Lindy was also happy with the result, as her and her teammate Aly Lowry improved on their results. Though they faced a tough team of Sarah Birch and Brooke Crawford in the semi-finals, they overpowered the duo winning 8-5 to make the finals. Charee Botha and Catherine Fanous proved to be a little tough, ousting the Panthers 8-1. Yes, next year the Double-L duo of Aly and Sophia will look to wrap their high school careers with a gold. Coach Wong couldn’t be happier.